"Hear Mass daily; it will prosper the whole day. All your duties will be performed the better for it, and your soul will be stronger to bear it’s daily cross. 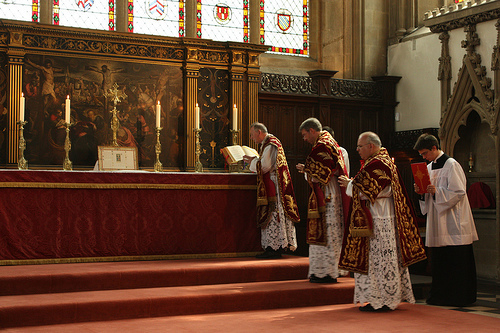 The Mass is the most holy act of religion; you can do nothing that can give greater glory to God or be more profitable for your soul than to hear Mass both frequently and devoutly. 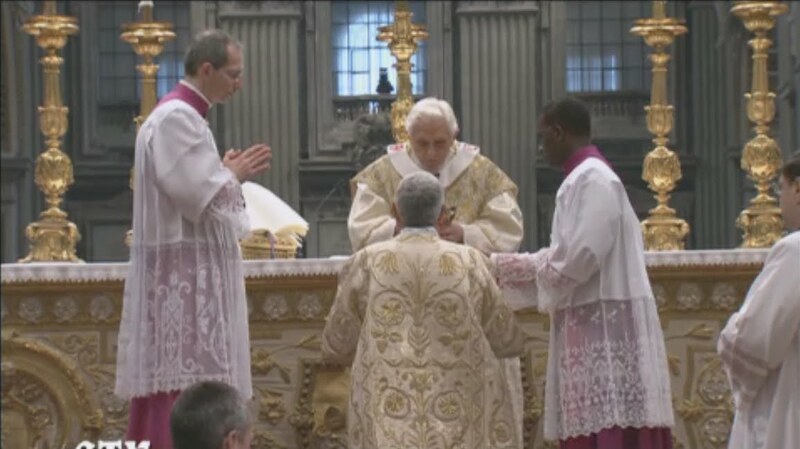 It is the favorite devotion of the saints"
This is the first time that a diocesan Bishop from Spain has said the Traditional Latin Mass publicly since the promulgation of Summorum Pontificum . 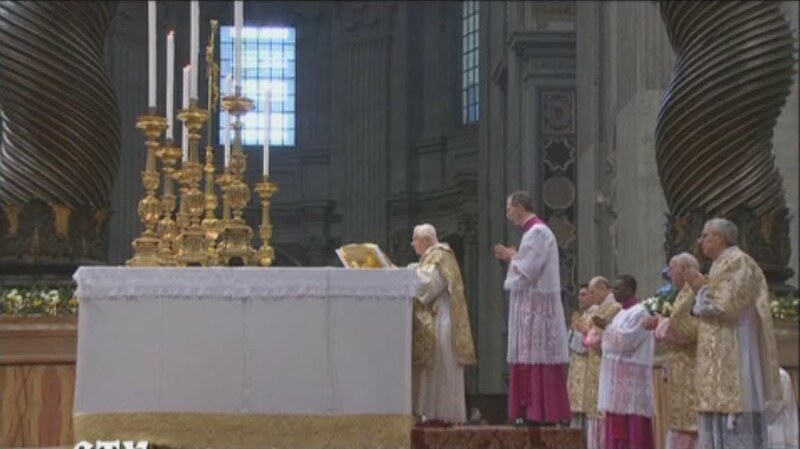 The Mass was attended by 1,200 faihtful, including various government representatives. 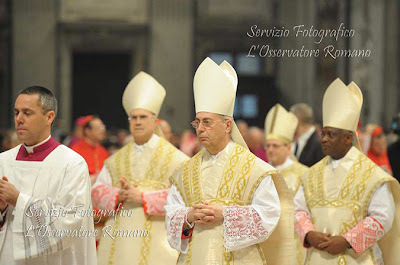 The Church teaches very unequivocally that for the valid conferring of the sacraments, the minister must have the intention of doing at least what the Church does. This is laid down with great emphasis by the Council of Trent (sess. VII). 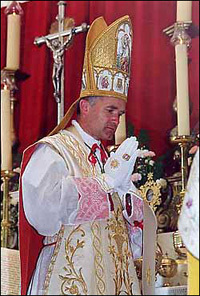 The opinion once defended by such theologians as Catharinus and Salmeron that there need only be the intention to perform deliberately the external rite proper to each sacrament, and that, as long as this was true, the interior dissent of the minister from the mind of the Church would not invalidate the sacrament, no longer finds adherents. 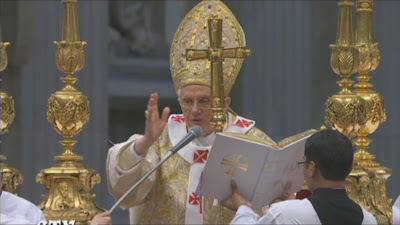 The common doctrine now is that a real internal intention to act as a minister of Christ, or to do what Christ instituted the sacraments to effect, in other words, to truly baptize, absolve, etc., is required. This intention need not necessarily be of the sort called actual. That would often be practically impossible. It is enough that it be virtual. Neither habitual nor interpretative intention in the minister will suffice for the validity of the sacrament. The truth is that here and now, when the sacrament is being conferred, neither of these intentions exists, and they can therefore exercise no determining influence upon what is done. To administer the sacraments with a conditional intention, which makes their effect contingent upon a future event, is to confer them invalidly. This holds good for all the sacraments except matrimony, which, being a contract, is susceptible of such a limitation. For the aforementioned reason, non-Catholic baptisms may not be valid. The individual should receive a conditional Baptism. 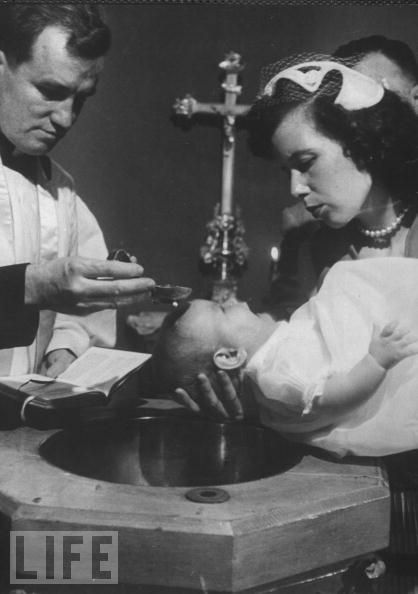 For more information, see our post on the Sacrament of Baptism. In theory they know, in theory they believe. But in reality, do they believe? Do they really believe that Our Lord is God? Do they really believe that peace among men, among nations, is in His hand? Do they really believe in all the immediate, direct consequences of His divinity? …Are they all going, like the Magi, the Three Kings, to adore the true God and to look to Him for that peace and to ask Him for it? Are they going to the King of Peace: Rex Pacificus? Oh, how history repeats itself, alas! Yes, we are deeply indignant, we vehemently protest against this repetition of the days at Assisi. Everything that we have said, everything that Archbishop Lefebvre had said at the time [of the first World Day of Prayer for Peace in Assisi in 1986], we repeat in our own name. It is evident, my dear brothers, that such a thing demands reparation. What a mystery! Yes, to adore: what does that mean? To adore means first of all: to recognize, to recognize the divinity. Adoration is given to God alone. And recognizing His divinity immediately implies submission; a declaration of submission to the sovereignty of God. It is to recognize that God has every right over us, that we are really entirely dependent, absolutely dependent upon God for our existence, our life, our ability to act, think, desire, and will. Every good, every good thing that happens to us, comes from the goodness of God. And this is true—not only for believers, not only for Christians—this is true for every creature, absolutely every creature. God, the Creator of all things, visible and invisible, is also the One who governs this world, the One who sustains all things by the power of His Word, the One in whom everything has its stability! Lord of life and death, of individuals and nations! Almighty, eternal God, to whom all honor and glory is due! 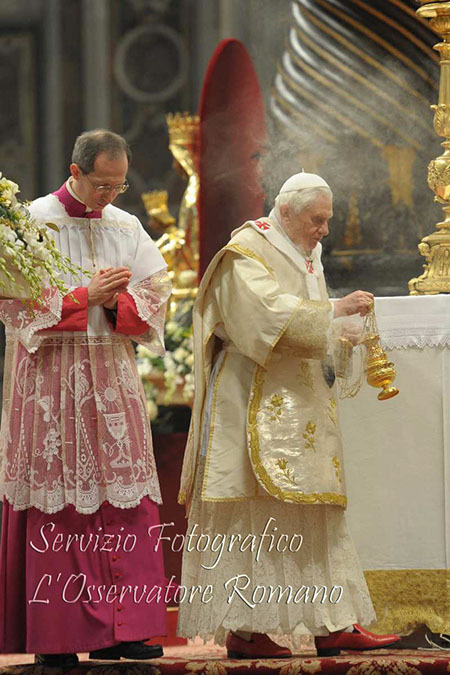 Yes, to adore is to put oneself in this posture of humility which acknowledges God’s rights. Let us go, then, let us go to Our Lord; even though He hides His Divinity, even though He is a tiny Child in the arms of His Mother, He is truly God! He is true God, sent by the mercy of the good God to save us. For He was made man, and in becoming a man he became the Savior, and His name, given by God Himself, is Jesus: the Savior! The only name that has been given under heaven by which we can be saved. The only Savior! The only Holy One, “Tu solus Sanctus” [as we say in the Gloria], who comes to bring us something unheard of: the invitation to God’s eternal happiness. How can people hope to be able to receive His blessings when they insult Him, when they ignore Him, when they diminish Him? It is madness! How can anyone hope for peace among men when he makes a mockery of God? And here modern thinking makes truly bizarre sorts of projections: it pretends that all religions, ultimately, adore one and the same true God. That is absolutely false; it is even in Revelation; we find it already in the psalms, in Psalm 96:5, “All the gods of the Gentiles are devils!” They are devils. And Assisi will be full of devils! This is Revelation, this is the Faith of the Church; this is the teaching of the Church! Now where is continuity? Now where is rupture? What a mystery! Yes, my dear brothers, if we want to be saved, there is only one way, and that is the way of Our Lord Jesus Christ. Take a minute and re-read that title again. One word at a time. You profess our Lord's death and resurrection in all of your actions. All of our prayers are grounded in the central point of our Faith - that our Lord Jesus Christ, being truly dead and buried, by His own divine authority raised Himself from the dead. Our Lord was truly dead. Do we realize this? Do you internalize this? 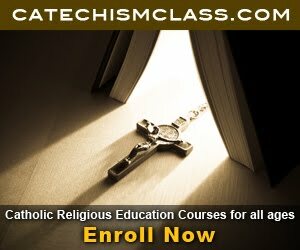 Let's take a minute and read from Fulton J. Sheen's "The Life of Christ" to better understand the transcendence of this historical event of unparalleled importance. In the history of the world, only one tomb has ever had a rock rolled before it, and a soldier guard set to watch it to prevent the dead man within from rising: that was the tomb of Christ on the evening of the Friday called Good. What spectacle could be more ridiculous than armed soldiers keeping their eyes on a corpse? But sentinels were set, lest the Dead walk, the Silent speak, and the Pierced Heart quieken to the throb of life. They said He was dead; they knew He was dead; they would say He would not rise again; and yet they watched! They openly called Him a deceiver But, would He still deceive? Would He Who "deceived" them into believing they won the battle, Himself win the war for life and truth and love? They remembered that He called His Body the Temple and that in three days after they destroyed It, He would rebuild It; they recalled too, that He compared Himself to Jonah and said that was Jonah was in the belly of the whale for three days, so would He be in the belly of the earth for three days and then would rise again. We continue to fail to marvel at the Resurrection. It was our Lord's disciples, who upon hearing the news, ran to the tomb to see for themselves that the Master was risen. The King of the world had conquered even death itself. The world which was shaken to its core on Good Friday, upon which its Creator gave up His Life. We must approach the Resurrection every time with the joy of the disciples and the fervent desire to see our Lord that St. Mary Magdalene had. As she exclaimed, "They have taken the Lord and I know not where they have laid Him." How do you read those words? Do they incite into your heart the deep burning desire like Magdalene to see the Lord? How would you have reacted to below the Lord and Savior of the world stand before you in glory who only three days before you saw descend lifeless from the Cross into the arms of His weeping Mother? We forget the glory of the Resurrection. This year we should already look ahead to Lent. We have just celebrated the Nativity of the Savior. We continue to recall now the Octave of His Epiphany and will soon begin to journey with Him to the Cross through Lent. Make this Lent a bitter one of penance so that you may best rejoice in the Master's Resurrection. He who has not done penance is not fit to celebrate in the Feast of Easter. May the sounds and sentiments of the Gloria on Easter Morning resonate in your heart each time you hear someone say that the Lord is risen. Indeed He is truly risen, alleluia. Never forget the Cross that He bore for you. Never forget the glory of our Lord, who is the firstborn from the Dead. The Lord is risen, alleluia. Let your hearts rejoice and be glad. What do you now about this community? How Traditional are they? I have heard of their community but am looking to find others with first-hand experience to describe them. 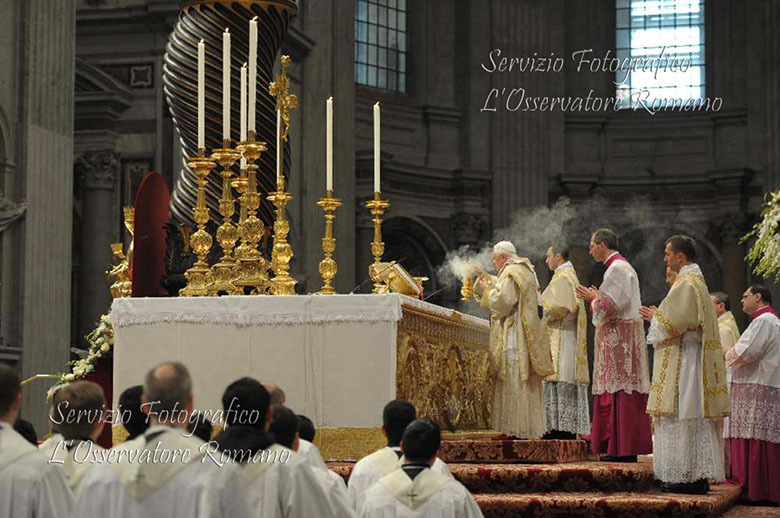 Take a look at this great video and also send a few minutes looking at the materials available for altar serving that are through Romanitas Press. 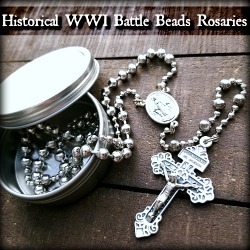 Take a minute and look through my reviews of their fantastic items. FSSP Church consecration in Phoenix! 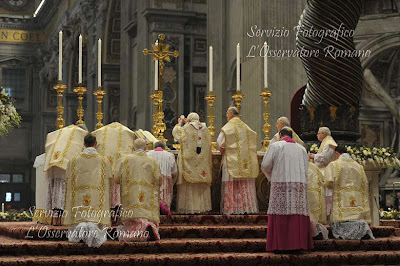 You can find the prayers and rubrics for the Consecration of a Church according to the 1962 Roman Rite on my post dedicated to The Ceremonies of the Consecration of a Church in the Traditional Manner (1962): Part I. 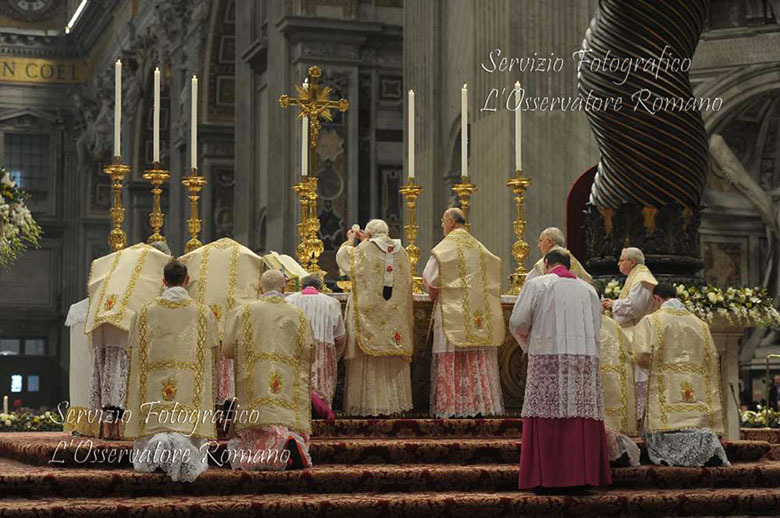 Also visit my post on the Consecration of the Priestly Fraternity of St. Peter's Seminary Chapel in the Traditional Rite. "You are my son, today I have begotten you" - with these words of the second Psalm, the Church begins the liturgy of the Holy Night. She knows that this phrase belongs, originally, the rite of coronation of the king of Israel. The king, who alone is a human being like other men, becomes a "son of God through the call and enthronement in its function: it is a sort of adoption by God, a record of decision in which he gives this man a new life, drawing them into your own being. Even more clear, reading from the Prophet Isaiah, we have just heard, has the same process in a situation of distress and threat to Israel: "A child is born to us a son is given to us. Has power over his shoulder "(9, 5). 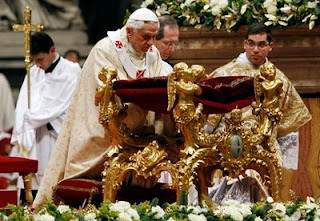 The royal enthronement function is like a new birth. And just like baby for God's personal decision, as a child of God, the king is a hope. The future rests on their shoulders. It is the keeper of the promise of peace. On the night of Bethlehem, this prophetic word was held in a way that at the time of Isaiah, he would have been unimaginable. Yes, now the one on whose shoulders lies the power is truly a boy. In him appears the new royalty that God creates in the world. This boy truly born of God. It is the eternal Word of God, which unites mutually humanity and divinity. For this boy, are valid evidence of the dignity which it assigns the coronation hymn of Isaiah: "Wonderful Counselor, Mighty God, Everlasting Father, Prince of Peace (9, 5). Yes, this king does not need advisers belonging to the worldly wise. Himself brings the wisdom and counsel of God. Precisely the weakness of boy he is, He is strong and so God shows us, given the pretentious world powers, the strength of God itself. 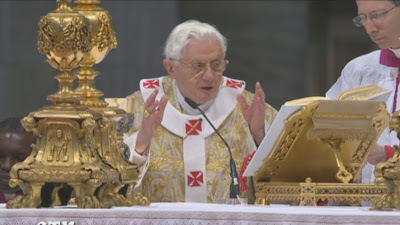 In fact, the words of the rite of coronation in Israel were mere ritual words of hope, that far predicting a future that would be given by God. None of the kings, so honored, corresponded to the sublimity of such words. Them, all the expressions about affiliation to God, enthroned on the heritage of the people on the field of distant lands (Ps 2, 8) remained only a portent of the future - as if panel flags of hope, signs pointing to a future which then was still inconceivable. So keeping one's word, which begins on the night of Bethlehem, is at once vastly larger and - from the viewpoint of the world - more humble than let the prophetic word intuit. It is larger, because this boy is truly the Son of God, is truly "God from God, Light from Light, begotten, not made, consubstantial with the Father." Is conquered the infinite distance between God and man. God did not merely tilt the look down, as the Psalm says, he "fell" truly entered the world, became one of us to draw all to himself "This kid is truly the Emmanuel, God- us. His realm extends to the ends of truly earth. 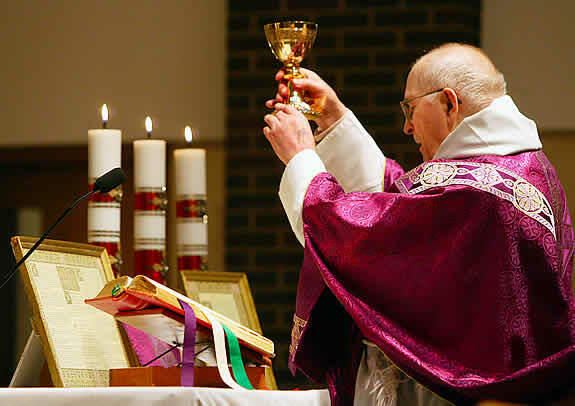 Universal in the immensity of the Holy Eucharist, he truly established islands of peace. Everywhere where it is celebrated, we have an island of peace, that peace which is God himself. This kid lit, in men, the light of kindness and gave them the strength to resist the tyranny of power. In every generation, He builds his kingdom from within, from the heart. But it is also true that "the baton of the oppressor 'has not been broken. Also today the shoe noisy march of soldiers and we have constantly to 'dress stained with blood "(Isaiah 9: 3-4). So part of the joy of this night by the closeness of God. We thank God because, as a child, If you trust in our hands, as it were begging for our love, infuses his peace in our hearts. But this joy is also a prayer: Lord, fulfill your promise fully. Break down the rod of the oppressor. Burn the noisy footwear. Grant that the time of blood-stained garments over. Accomplishment the promise of "peace without an end" (Isaiah 9, 6). We thank you for your kindness, but also ask Thee, shew your strength. Institutes in the world the domain of your truth, your love - the "kingdom of justice, love and peace." "Mary gave birth to her firstborn son" (Lk 2, 7). With this sentence, Saint Luke recounts, in an absolutely sober, the big event that the prophetic words in the history of Israel, had envisioned beforehand. Luke refers to the boy as "the firstborn". In language that was formed in the Scriptures of the Old Covenant, "the firstborn" does not mean the first of a series of other children. The word "firstborn" is a title of honor, whether to follow after other brothers and sisters or not. Thus, in the Book of Exodus, Israel is called by God "my firstborn" (Ex 4, 22), expressing themselves in this way to his election, his unique dignity, particularly the love of God the Father The early Church knew that the word gained a new depth in Jesus, which are summed up in him the promises made to Israel. Thus the Letter to the Hebrews calls Jesus "the firstborn" simply in order to qualify, then the preparations in the Old Testament as the Son of God sending to the world (Heb 1, 5-7). The oldest belongs in a special way to God, and therefore - as happens in many religions - should be delivered in a special way to God and redeemed by a sacrifice of substitution, as St. Luke says in the episode of Jesus' presentation in the temple. The firstborn belongs to God in particular, as it is for the sacrifice. In the sacrifice of Jesus on the cross, takes place in a unique way the fate of the firstborn. Himself, Jesus offers humanity to God, uniting man and God in such a way that God may be all in all. São Paulo, in the Letters to the Colossians and Ephesians, broadened and deepened the idea of Jesus as firstborn: Jesus - tell us those letters - is the firstborn of creation, the true archetype according to which God formed the man-creature. Man may be the image of God because Jesus is God and Man, the true image of God and man. He is the firstborn from the dead: yet tell us those letters. In Resurrection, crossed the wall of death for us all. Opened to man the size of eternal life in communion with God. Finally, we are told: He is the firstborn of many brothers. Yes, now he is also the first in a series of brothers, ie the first that opens for us the life in communion with God. Creates true brotherhood, no fraternity, distorted by sin, Cain and Abel, Romulus and Remus, but the new brotherhood in which we are the very family of God. This new family of God begins the moment Mary involves the 'firstborn' in the tracks and recline in the manger. Let us pray to Him, Lord Jesus, you who have wished to be born as the first of many brothers, give us the true brotherhood. Help us to become like Thee. Help us to recognize another one that needs me, those who suffer or are abandoned, all men, your face, and live together with you as brothers and sisters to become a family, your family. In the end, the Christmas Gospel tells us that a multitude of the heavenly host of angels praising God and saying: "Glory to God in the highest and on earth peace among those whom he loves" (Lk 2, 14). The church expanded in the hymn "Glory ...», this praise the angels sang the sight of the holy night of the event, making it a hymn of jubilation about the glory of God. "We thank you for your glory." We thank you for beauty, for greatness, for thy goodness, which, tonight, become visible to us. The manifestation of beauty, beautiful, makes us happy that we should not wonder about its usefulness. The glory of God, whence all beauty, explodes in us the wonder and joy. Who sees God, feel joy, and tonight, we see something from your light. But the message of the angels on that Holy Night also tells men: "Peace to those whom God loves." The Latin translation of this phrase that we use in the liturgy and goes back to St. Jerome interprets differently: "Peace to men of good will." Just during the last decades, the words' men of good will in particular entered the vocabulary of the Church. But what is a fair translation? We read together, the two versions, only then we rightly understand the words of the angels. It would be a wrong interpretation that would recognize only the unique act of God, as if he had not called the man a free and loving response. But it would be wrong also an uplifting response, whereby a man with such good will power it would, so to speak, to redeem himself. The two things go together: grace and freedom, love of God that precedes us and without whom we can love Him not, and our response, which he hopes and prays it up in the birth of his son. The intertwining of grace and freedom, the entanglement of appeal and response can not divide it into parts separated from one another. Both are inseparably interwoven with each other. So this sentence is both promise and appeal. God preceded us with the gift of his Son. And ever anew and unexpectedly, God goes before us. Never ceases to seek, to stand up every time you need it. Do not abandon the lost sheep in the desert, where they lost. God is not confused by our sin. Again and again starts with us. However expects us to love Him with Love us so that we can become the people they love with him and thus could be peace on earth. Lucas did not say that the angels sang. Very soberly, writes that the heavenly host praising God and saying: "Glory to God on high ..." (Lk 2, 13-14). But men have always heard that the talk of angels is different from that of men, and that precisely this evening of joyful message, such talk was a corner in which shone the sublime glory of God. So from the beginning, this song of angels is understood to music coming from God, nay, an invitation to come together in the corner with his heart in joy because we are loved by God. Saint Augustine says: Cantare Amantis est - singing is for one who loves. Thus over the centuries, the song of angels became ever again a song of love and joy, a corner of loved ones. At this time, Let us join together, full of gratitude, this chanting of all ages, that unites heaven and earth, angels and men. Yes, Lord, we give you thanks for your glory. We thank you for your love. Make us more and more people that love with you and therefore, people of peace. Amen. The influence of Teilhard de Chardin has been overlooked and not given due consideration by the Church in our time. His work to integrate the theory of evolution with Catholicism helped to spawn the modern day notion that the Catholic Church is an evolutionary process that goes through phases of change over time, which of course is heresy. Chardin believed that God and the universe are evolving and pressing toward some glorious light or new Pentecost, an error that was insidiously applied at Vatican II, to the end that there are Catholics today who actually believe that God and his works undergo transformation and change. But the fact is that monkeys do not grow out of fish, people do not grow out of monkeys, and reform does not grow out of tradition. What God has established from the beginning, whether spiritual or physical, remains, and does not change. But not according to Chardin. He applied evolution in a spiritual way to create the fallacy that religion and its source evolve as well. As he saw it God is a cosmic entity that has yet to hatch and become a living host. His lunacy can best be described as science fiction fantasy which denies the goodness and majesty of the omnipotent Creator, for which reason he was condemned by the Church fathers in 1962. 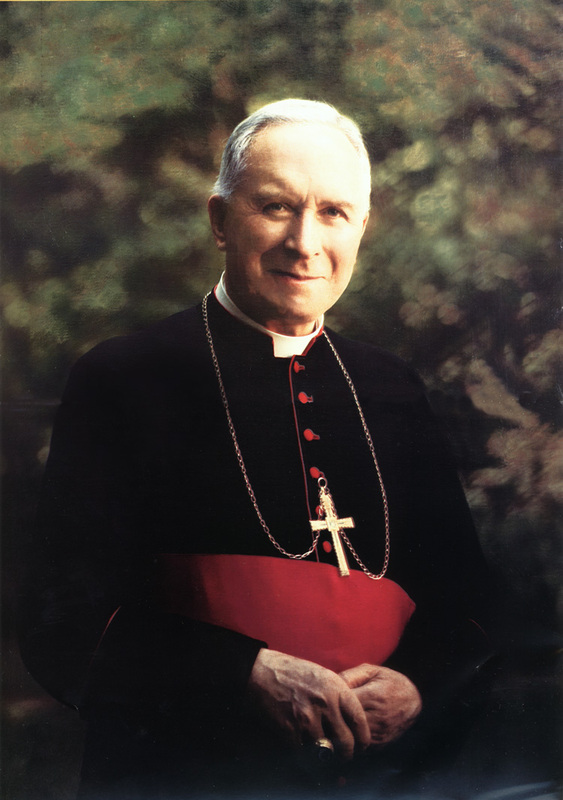 Even so, his ideas were a major foundation block for the reformist movement that hit the Church at Vatican II which in turn has caused the Church in our time to evolve away from God, save the elect. Is it any wonder that Chardin is such a favorite among today's modernist progressives? I am very pleased to again be a part of the coordination of the Patron Saint of the Year Devotion. I have been part of this annual tradition since 2006 and have helped coordinate devotions for hundreds of families. It is my pleasure to now be part of the 2011 Patron Saint of the Year Devotion. Again, I would like to take a few minutes to explain the devotion, which has its roots in St. Faustina. I participate in this devotion each year without any cost. Please take a minute and if you are a supporter of this devotion, please consider leaving us a free will donation. Your support is greatly appreciated and helps me continue working on this devotion and spreading it further. According to the Traditional Catholic Calendar of 1955, the Feast of the Holy Name of Jesus occurs on the the Sunday of January 2nd, 3rd, 4th or 5th, or when no Sunday occurs on these days, then the feast is celebrated on January 2nd. * As listed in the 1969 Calendar of the Saints, today is the Optional Memorial of the Holy Name of Jesus and the Tenth Day of Christmas where we specifically recall that beautiful name of Our Savior. For the name of "Jesus" means "God saves." Jesus Christ, The Great King of the World, knew rejection. He was rejected from the Inn in Bethlehem while still living in the womb. He knew cold as he lay in rags in Bethlehem. He knew hunger as the devil tempted Him in the desert for 40 days. He was rejected for His words on the Eucharist too. And He knew rejection - at the hour He needed them the most, all of his friends left Him to the Cross - only St. John would return. Today let us recall Jesus Christ, who became like us, completely like us in all things but sin to be the sacrifice for our sins - our redemption. Let us honor His name, given to Him before His conception through the words of the angels. 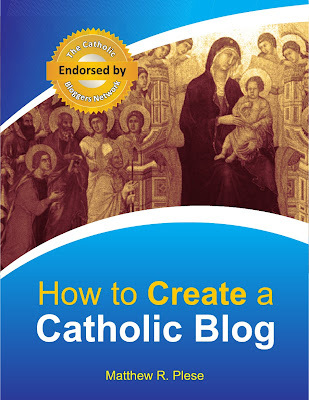 Read on the history of the Feast of the Holy Name . O God, Who didst constitute Thine only-begotten Son the Savior of mankind, and didst bid Him be called Jesus: mercifully grant, that we who venerate His holy Name on earth, may fully enjoy also the vision of Him in heaven. Through the same our Lord. 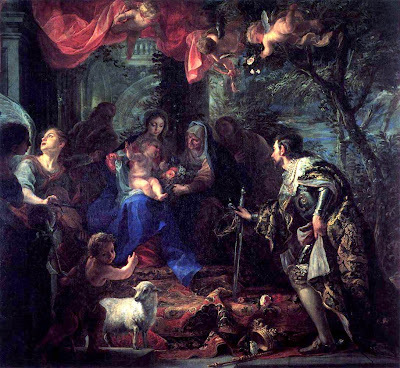 Each year the Holy Church celebrates on January 1st, the Octave Day of Christmas, a day on which we recall the Divine Motherhood of the Blessed Virgin Mary, the giving of the Holy name to the Infant Christ, and the Circumcision of our Lord, who even as an infant began to offer His blood for our redemption. 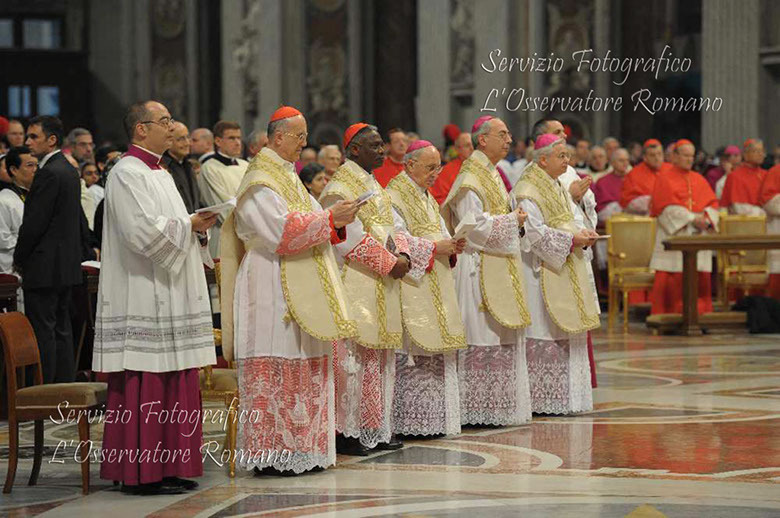 The Holy Father celebrated Mass on the Octave Day of Christmas this year in a beautiful set of vestments. These vestments are strikingly similar to the vestments he wore this year on the Feast of the Epiphany.